This is my first post on this forum, so please be gentle with me! 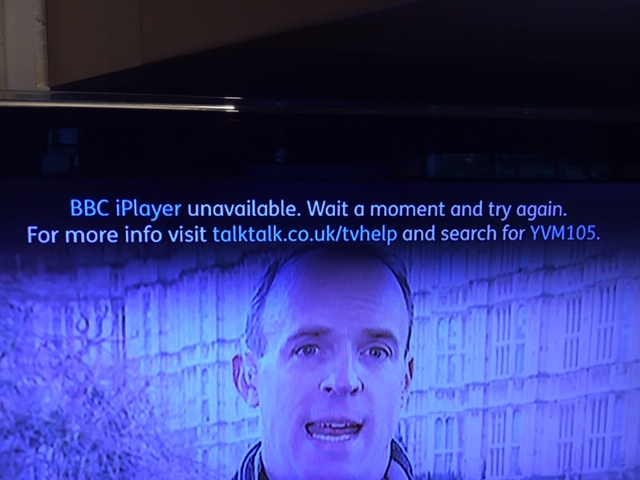 For the last week or so (say, from about Monday 21st January 2019 - can't be precise) I find that all of my Humax DTR-T2000 box 'players & apps' don't work each and every morning; they're all visible, just won't work. Only way to recover them is to unplug power the box, wait 20 seconds or so, power up again and wait the usual several minutes for the box to boot up from scratch again, then everything works perfectly all day, until the box is turned off at the end of the day. The next morning, same thing ….. Box is configured to remain on standby overnight, to allow for quicker 'smart start-up', could that be an issue (although has been working fine until now). Box is about 3 years old, not had any other problems so far - anyone have any ideas? Appreciate any advice or guidance to point me in the right direction, thanks! Forgot to clarify, sorry - box is connected directly to Belkin router via 3 mtrs of CAT 5 cable, and all other internet access kit (PC, phone, etc.) have no connection issues. First have a go at trying the maintenance mode, but be careful in options. I would try option 2 first to see if this works for you. Then if still not resolved option 4 & last option 1 if still not resolved. But NOT options for deleting recordings. Hi richbandit and welcome. This sounds most odd. Can you clarify a couple of other points? First, when you say "just won't work" can you expand as to what does/doesn't happen? Are there any error messages displayed at all? And when you say "the box is turned off at the end of the day," do you mean "off," or simply put into standby? Finally, can you just confirm your ISP and post the box details including software version. Hi John L, thanks for your advice; I'd learned about the maintenance mode options (on this forum), so will try your suggestions - was just interested if there might be any other possible solution before trying that. Hi Redchiz - to clarify; all the app icons are available and visible, then when I attempt to access any one of them an error message is displayed, something on the lines of "unavailable, please try later or contact your service provider" (sorry - having reset the box again this morning it's now working OK of course so I can't check exactly what it says! I'll check the exact wording tomorrow morning and post back here!). 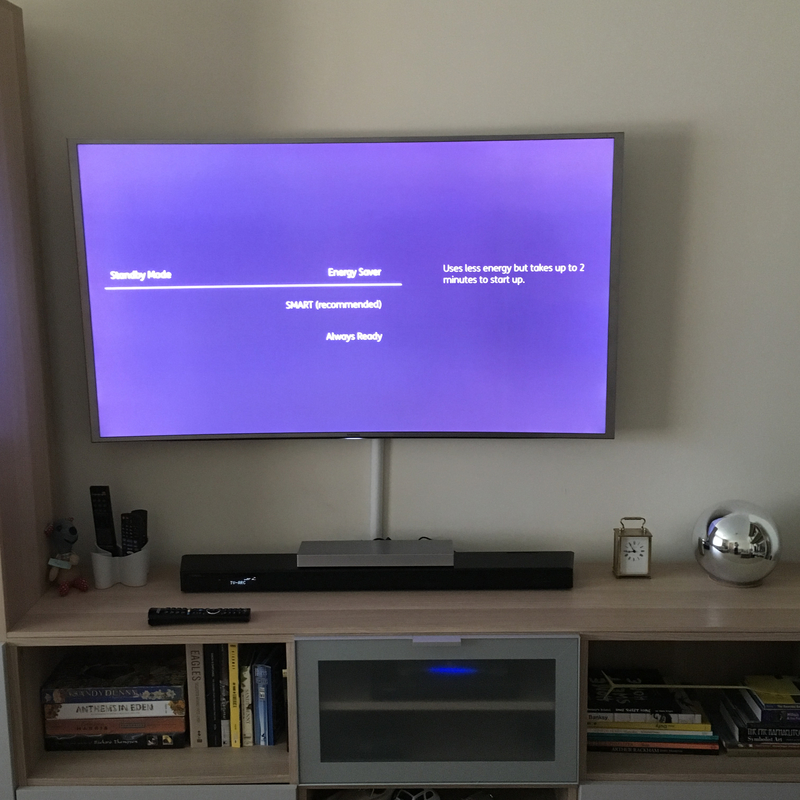 Box is left on standby overnight, not turned off completely …. ISP is Talk Talk, box is DVR t2000 (variant 84B07000), software version is 3.5.156 (it shows having updated this morning, so I presume this is the latest software available?). I'm presuming (but not sure?) that the box would be doing its 'update' overnight at some point when left on standby, so could it be at that time that the error manifests itself I wonder? Anyway, before I do anything further I'll clarify the exact error message tomorrow morning and then post here. Grateful thanks to both for your help. Your problem is unique and has never been reported before. There are multiple redundancies built into a YouView box to stop this kind of thing happening, and so doesn't point towards the box. Yet rebooting it re-establishes the connection to ALL the Players. Definitely strange. Each Player on YouView has its own server, which are known as portals. BBC iPlayer, ITV Hub, ALL4 and My5 (channels 4 & 5) which when you press OK on them take you directly to source, but your box won't do that with any of them. Which points to a connection problem. But your using a CAT5, so its not that either. I note your on a TalkTalk line but use a Belkin router with a T2000. Just for test purposes can you put the TalkTalk router back in the chain and try that for 48 hours? And if it works, may point towards a problem with the Belkin or its settings? I don’t find this problem strange, though it certainly is unique. YouView boxes are running a lot of complex software, and a tiny bit of software corruption can derange them in a way which almost always leads to a unique problem; but the common underlying issue is that there was a little bit of such corruption. And this can survive a reboot, and even the 8-second Reset, quite often, but generally yields to a Maintenance Mode reset, Option 2 or Option 4, which refreshes the running software, eliminating the corruption. What I’m always amazed at, though, is the way the box seems to cope with such corruption, limiting it to a small, confined, area of box operation, instead of falling over catastrophically with its little legs in the air. And how well it recovers after an MM reset; the only sort of corruption that seems to hang about is when it has disrupted the filing system on the disc. And even this is usually cleared by the disc reset in an MM Option 5; though not, alas, without being unable to recover the user’s stored recordings. Compared with that, you are one of the (majority of) lucky ones. "I don’t find this problem strange"
Really? Its certainly a new one on me, but I'd estimate its not the box. But if it is your advice as always is sound. This exact issue is a new one on me also; but when you look back over the forum, you find that there are all sorts of weird and unique problems that occur, but can generally be sorted by a Maintenance Mode update. @Stephen, perhaps only semi-jokingly, suggests cosmic rays as one possible culprit; our boxes are being bombarded by these all the time, and very occasionally, one will perhaps flip a bit from a 0 to a 1 or vice versa. Or something will; mains blip, and so on. The resultant symptoms depend crucially on exactly which bit gets flipped, so we hear of many exotic unique derangements; but the cause - and usually the fix - is always the same. Lets see if the MM does it for @richbandit; I have high hopes that it will. But if if it doesn’t, I concur with your suggestion that the TalkTalk router be reinstated to see what effect this has on the issue. Many thanks indeed for all your thoughts and comments, very interesting seeing all your various views and much appreciate you taking the time to ponder my problem! Screen shot of the error code is as per below image, taken this morning. This shows 'BBC iPlayer' of course, but it's the same error for each and every app, with the appropriate app name showing instead. I've visited that web link and searched for 'YVM105' and apart from following the usual suggestions of checking connections, cables, reset router, etc., etc. none of the posts really give any concrete solution other than if all else fails do a maintenance reset as you suggest John L. There's also a reference to Talk Talk updating their player software last year which seemed to cause an issue for one subscriber with a Huawei box, but I think that only applies specifically to their own Talk Talk Player and subscription channel apps, so doesn't really apply for me anyway. I've been with Talk Talk for years (originally Tiscali, who were taken over by Talk Talk) so any original router I had has long gone many years ago - it was rubbish anyway, as I recall! Consequently I don't have another router to substitute, although I can confirm all other devices on my home network are working just fine (albeit via wi-fi to router). 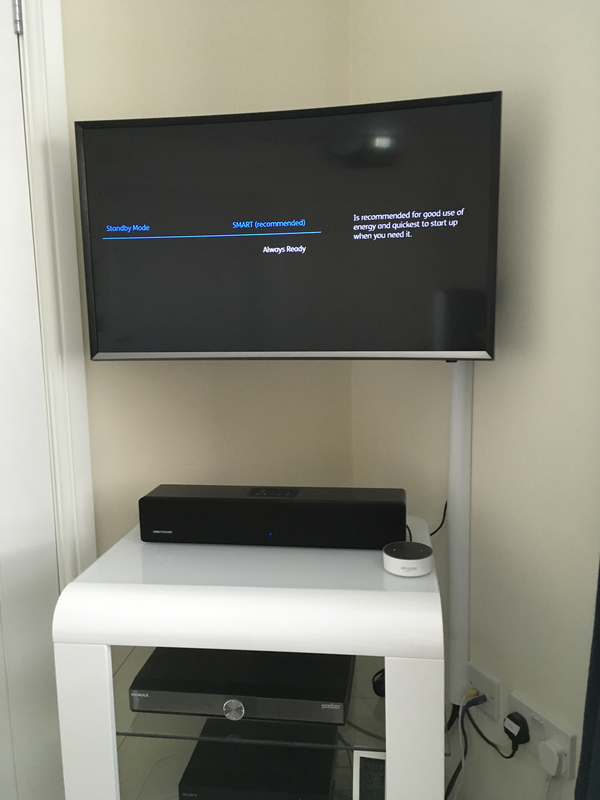 I also have a smart TV with built in apps, that's older than the Humax, in a different room and its apps also work fine (wireless to router again). I've also tried connecting the Humax to a different port on the router, just in case, and reset the router several times, but still the same. A point of interest, though - the fact that the box does appear to be updating the software version each day (or, so it tells me!) suggests to me that it is, indeed, able to communicate through the router successfully, so on that basis it would suggest the problem lies within the box itself not being able to update the apps for some reason? But if I now down-power the box and re-start from cold (which I'll be doing again after posting this message) then all the apps will update and start working again - so this suggests it's definitely updating the apps correctly at the time of a 'hard-reboot' but just won't do it during the night? Or is my logic somewhat flawed here?! Once again, greatly appreciate your assistance! I can provide an update - as I mentioned in my last post, I connected the Humax to a different port on the router this morning and in doing so the internet connection was of course temporarily interrupted and re-established whilst I changed the plug over to a different socket. Lo and behold, it would seem that the action of doing this has also revived the apps and they're now all working, without needing to turn main power off/on. At the time of my earlier posting I hadn't realised this had happened! Very interesting, but I suppose I still can't be totally sure yet if this is as a result of changing the port over (router original port suspected faulty?) or if the disconnect/reconnect 'woke up' the Humax which kick-started the app update process …. This evidence suggests the 'pointed finger' could well be swaying more towards the router, perhaps …? Or maybe not - as you point out Roy, some very odd effects and problems relating to the box itself are well documented! I'll leave things as they currently are and see what happens tomorrow morning before considering my next course of action, which (if the same problem tomorrow) will no doubt be a maintenance mode reset. The power setting has always been set to 'Smart' so the unit would start up quicker, and was in this mode the problem started. So out of curiosity, following the failed maintenance reset attempt I changed it to 'energy saver' mode to see what would happen and yesterday morning all apps were working just fine!! I then changed it back to 'Smart' setting again to see what would happen this morning - to find that the apps are again not working! Looks like I may have identified the error. I've now selected 'always ready' setting to see what happens tomorrow morning, and I suspect this might work OK. So - do you think this relates to some odd software glitch that seems to affect the way the 'Smart' power setting behaves? If so, doubt if there's a great deal I can do about it I suppose, I'll just have to choose the power setting that works and live with that! The sequence of Maintenance Modes you set would have worked OK, in your circumstances, but my usual advice is for anyone with a working connection to do just a Mode 4, which should be enough. Mode 2 is for those without a working connection; and if it brings it back, then a Mode 4. Mode 1, in this context, is just a tickle; practically the same as the 8-second soft reset. Which often sorts things out; but if it doesn’t, then a Mode 1 probably won’t either, so I tend to bypass it. I think I know the mechanism behind Energy Saver mode working; whatever is deranging your box doesn’t survive the much more thorough restart that this mode does, so it’s equivalent to the reboots you’ve been doing; but it does survive the Smart startup. And we have seen this before, in the context of a different problem. I predict that ‘always ready’ will give you the same problem, though I would like to be wrong, for your sake. If so, then you have a box that can’t hold its configuration overnight, which would be a hardware problem, I’m afraid. Energy Saver mode is a workaround, if you want to keep using the box, and better than having to reboot it every day. But it does mean you won’t be able to pair with the YouView app to set recordings without losing Energy Saver as a power option, so to keep Energy Saver, you will have to set recordings on the box always, instead. "The power setting has always been set to 'Smart' so the unit would start up quicker, and was in this mode the problem started. So out of curiosity, following the failed maintenance reset attempt I changed it to 'energy saver' mode to see what would happen and yesterday morning all apps were working just fine!!" I have heard of standby modes affecting either the performance of the box or its features and functions, but such instances have been rare. Though point of note - YouViews now only have 2 standby modes - 'SMART' and 'Always Ready' and 'Energy Saver' no longer exists. Strange this - my T2000 has two standby modes and my T2100 has three. Hi jimb. I don't have access to my T2100 at the moment so can't check. So I'll defer to your observation that it has 3. Prediction - you have your T2000 paired with a YouView app, but the T2100 isn’t? Actually neither are paired with an app. I don’t know whether the same thing happens with the BT and TalkTalk Apps though. Roy, you were spot on as usual, thanks. As you predicted 'always ready' setting also meant no apps working the next morning. Last night I put back to 'energy saver' mode and this morning they've now been updated correctly. So, looks like the only option is to leave it on the 'energy saver' setting, I'm sure we can live with that! Probably my last post in that case, thanks for all your help and advice, one and all.